A Japanese government panel released the results of its investigation into the origins of the 1993 Kono statement. 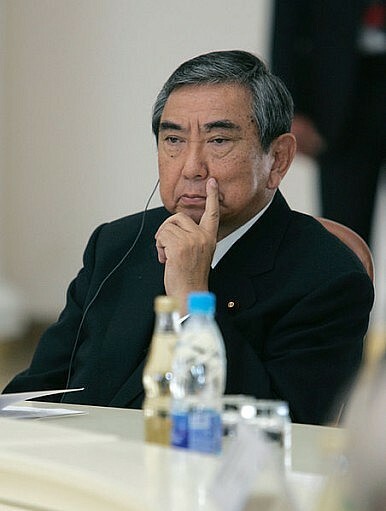 A government panel in Japan released its official report on the origins of the 1993 “Kono statement,” an apology by then-Japanese Chief Cabinet Secretary Yohei Kono for the use of coercion in recruiting “comfort women.” The statement offered Japan’s “sincere apologies and remorse” for the “immeasurable pain and incurable physical and psychological wounds” suffered by the comfort women, many of whom were Korean. The government panel was designed to explore the history behind the Kono statement, including whether Japan and South Korea collaborated on crafting the language. At the heart of the issue is the question of whether the statement was, as Kono claimed, the result of a two-year Japanese government study on the history of the “comfort women” issue, or whether the statement was issued as a result of South Korean political pressure. The government panel (as had been expected) found that there had been behind-the-scenes political bargaining to determine the language used in the Kono statement. The report implies that the Kono statement was not based solely on historical evidence. Rather, the panel found that the very idea of a public apology originated out of concern that South Korean public sentiment on this issue of comfort women was damaging Japan-South Korea relations. The report found that the original Japanese investigation into the issue was carried out with feedback from South Korea, and that Tokyo considered Seoul’s suggestions at each step of the process. Though Prime Minister Shinzo Abe’s Cabinet had ordered the panel to conduct its investigation, Abe’s Chief Cabinet Secretary Yoshihide Suga insists that Tokyo will not break with the Kono statement. “There is no change at all in our position to uphold the Kono statement,” Japan Times quoted Suga as saying. The panel investigation was soundly denounced by China and South Korea, as both governments believe that the panel was designed to cast doubts on the sincerity of the Kono statement. In a Foreign Ministry statement, Seoul expressed frustration with the mixed signals from the Abe administration. Since Abe has promised to uphold the Kono statement, the Foreign Ministry said, the panel investigation was “meaningless and unnecessary.” The statement also accused the panel report of containing “misleading content that undermines the credibility of the Kono Statement.” Seoul chastised Abe’s government for seeking to avoid its responsibility for the harm done to “comfort women,” thereby “reopen[ing] the painful wounds of the victims.” Kyodo News noted that South Korea summoned Japan’s Ambassador to issue a formal protest. China backed South Korea in lashing out at the Abe government. The “alleged investigation further exposes [Japan’s] true intentions of refusing to face up to history,” Foreign Ministry spokesperson Hua Chunying told reporters. Hua called on Japan “to ‘face up to and reflect upon its history of aggression’ and to ‘take a responsible attitude to honor its commitment to the international community such as the Kono Statement.’” China has repeatedly accused Abe’s government of attempting to “whitewash” history. The investigation into the Kono statement was taken as more evidence of this revisionist goal. The panel investigation drives another wedge between U.S. allies Japan and South Korea, as historical issues continue to be a major factor in their relationship. Meanwhile, China and South Korea have once again found common ground in blasting Japan for a lack of historical remorse. Beijing is likely pleased this issue has reemerged just before Xi Jinping’s planned visit to Seoul — Japan’s actions will provide an easy topic for agreement that allows China and South Korea to avoid focusing on more complex factors in the relationship (from the North Korea question to Seoul’s alliance with the U.S.). Pope Francis Meets Korean ‘Comfort Women’Little to Celebrate on 20th Anniversary of Obuchi-Kim DeclarationWhat Is South Korea’s Vision for the New Northeast Asian Order?South Korea and the Quad: Missing Out or Opting Out?South Korea-Japan Comfort Women Agreement: Where Do We Go From Here?